Line 9 regular-size muffin cups with paper baking cups. In 2-quart saucepan, heat 1/4 cup unsalted butter over medium heat until completely melted. 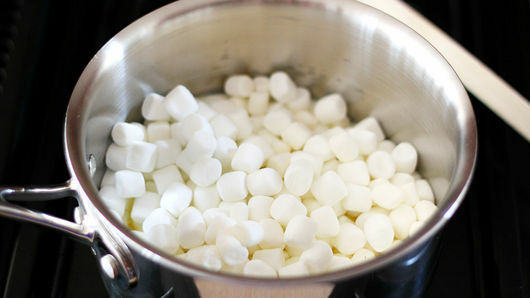 Add 4 cups miniature marshmallows; cook, stirring continuously, until marshmallows are melted. Remove saucepan from heat. 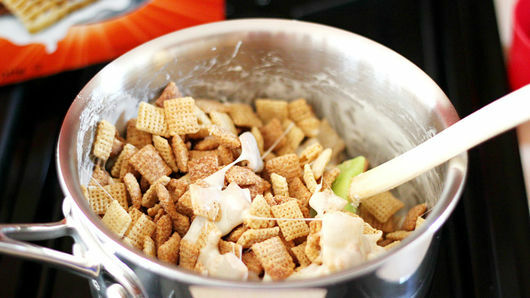 Into melted marshmallows, gently stir 4 cups Cinnamon Chex™ cereal and about 1 teaspoon of the ground cinnamon (more or less depending on taste) until cereal is evenly coated. 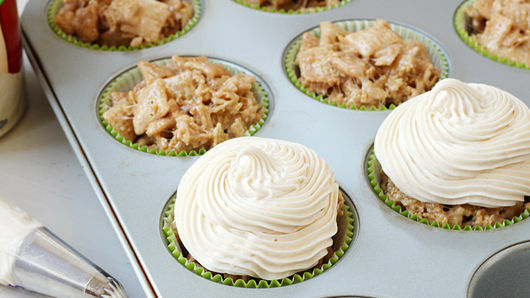 Use big scoop to divide cereal mixture into muffin cups. Cool completely, about 30 minutes. 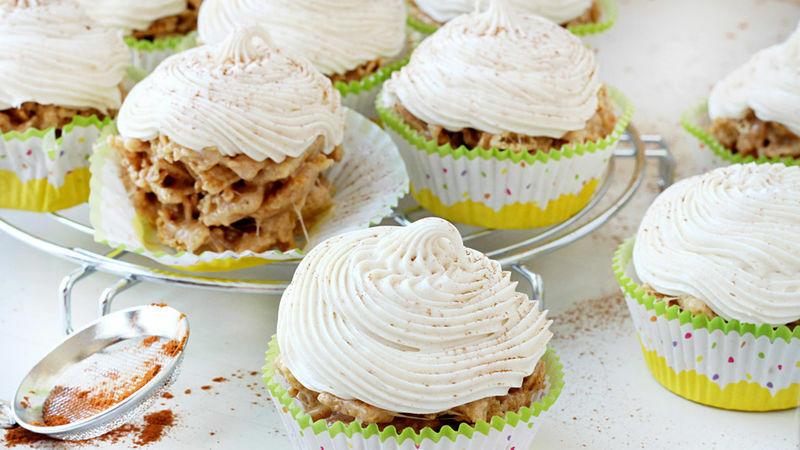 When cupcakes are cool, mix 1 container (16 oz) vanilla creamy ready-to-spread frosting with remaining 1 teaspoon ground cinnamon. Spoon frosting into decorating bag; pipe over tops of cupcakes. Marshmallow mixture can be made in the microwave. In medium microwavable bowl, microwave butter and marshmallows uncovered on High about 1 minute 30 seconds, stirring 2 or 3 times during microwaving, until mixture is smooth. 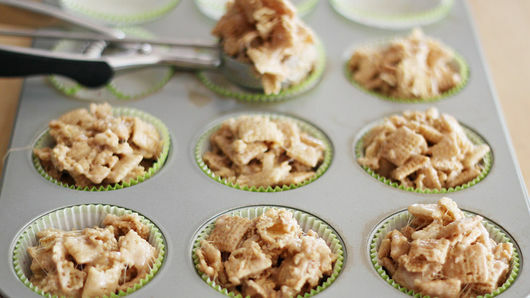 If you'd prefer, use 2 cups Vanilla Chex™ cereal and 2 cups Cinnamon Chex™ cereal.